t.: 01283 701491 and band members. My love of music must have started probably before I could even read and enjoy everything from Coldplay to Chopin. Originally from Yorkshire I began singing whilst at infant and junior school inspired by a wonderful music teacher …who spent much time correcting my extremely northern accent. Over the years I have been fortunate to sing with various Gilbert & Sullivan Groups, Huddersfield Choral Society, guesting with Male Voice Choirs and locally in light opera musicals…Even enjoying a brief spell performing with Opera North. In more recent times I have been performing with the Burton Concert Band, which is always a wonderful experience, especially the St Georges Day Concert. However I’m equally as happy to take the lead soprano role or the back row in the chorus line as long as I’m singing! Since moving to Stone 14 years ago have had 2 girls who seem to have inherited my passion for music and the house is always full of sound (noise)…. my husband does lots of fishing!! 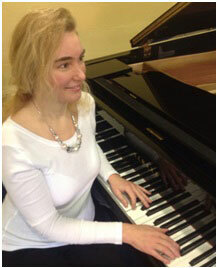 Tanya was born in St. Petersburg, Russia, and began playing the piano at the age of five. Her love for music was inherited from her great aunt, who studied at the Moscow Conservatoire before the Russian revolution and was taught by Sergei Rachmaninov. Tanya was trained at the St. Petersburg School of Music, followed by many years at the Nizhny Novgorod Music College. At the age of eighteen, she was sponsored by the Russian government to study at the Nizhny Novgorod Conservatoire for a further five years, where she gained qualifications as a concert pianist, artist of chamber orchestra, concert master, and piano teacher. 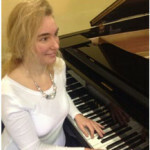 Tanya participated in many regional, national and international competitions and performed as both a solo pianist and accompanist in Russia, Ukraine, UK, Italy and France. She was a concert pianist and concert master for the Philharmonic, Opera Theatre and later a piano teacher in the Nizhny Novgorod School of Arts. 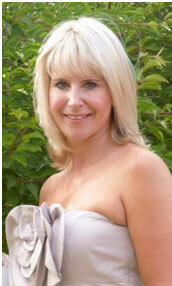 Since arriving in Great Britain in 2000, Tanya has become actively involved in the local music scene. She is thought of as one of the area’s most eminent pianists and widely in demand as a concert pianist, accompanist and repetiteur. 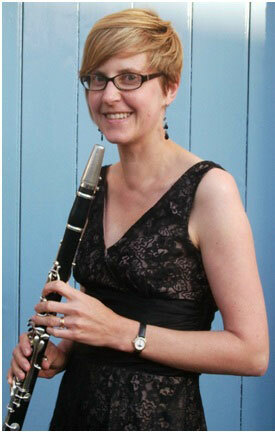 Kate Fox has been playing the clarinet since she was nine years old. She grew up in Sussex and played in East Sussex Youth Concert Band, which toured abroad combining skiing and concerts (although not both at once!). 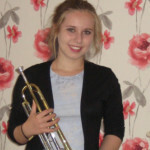 She also played in the East Sussex Youth Orchestra and with the National Youth Wind Orchestra of Great Britain. 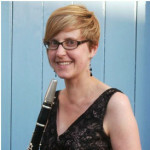 Whilst studying for a degree and PhD in Metallurgy at Birmingham University, she played in the University Orchestra and solo clarinet in the University Wind Band. She now works as a metallurgist at Rolls-Royce in Derby and has played solo clarinet in the Burton Concert Band since 1998. She also plays on occasion with the Derby Music Club, Glebe Symphonic Winds, the Derby Chamber Orchestra and Derby Concert Orchestra. Jessica is currently studying for a Bachelor of Music degree in performance at Birmingham Conservatoire. 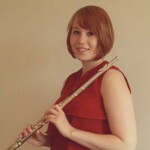 She has been studying the flute for 11 years, with various tutors, and joined Birmingham Junior Conservatoire in 2010, which as has been instrumental in her musical development as a soloist and ensemble performer. The Junior Conservatoire Wind Orchestra, are regular participants in the National Festival and Music for Youth Festival, which have both been challenging and exciting experiences. 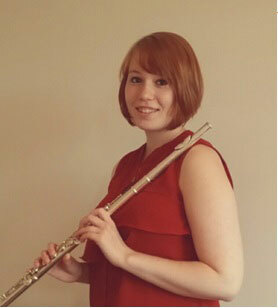 Jessica has been a member of the National Youth Wind Orchestra of Great Britain for the last two years, where she has worked with prolific conductors such as Dr. Glenn Price of Canada, and James Gorlay of Scotland. The saxophone is also a large part of Jessica’s music career, playing with the Burton Youth Jazz Orchestra for 5 years, and the Burton Concert Band for 3 years, where she enjoyed an overseas tour to Bruges in 2013. After picking up the Trumpet over ten years ago I was desperate to put it down as quickly as possible once I reached the realisation that I would actually have to practice. However as a fourth generation Brass player this was not an option. It just so happened after the initial year of fluffy notes, and lectures on how a goldfish breath would never fill the instrument, playing became enjoyable. Eventually I even became bearable to listen to and am proud to say I made it into the final of Staffordshire Young Musician and one better than that, in my early years, won a Haven holiday with my heart wrenching rendition of Grease. Over the years I have been in every band I could get to playing in everything from Jazz to Brass. 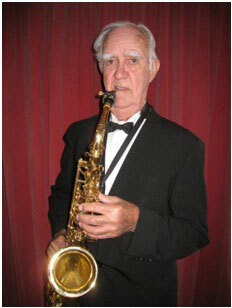 Currently I am only a member of three bands, playing lead trumpet in the Lichfield and Rugeley Wind Orchestra as well as the Jazz Orchestra and, of course, Burton Concert Band: of which I have been a member for about five years. David joined the Royal marine Service at the age of 14, where it was decided that he would be taught Clarinet and Violin. He served until the age of 30 when he joined the Derbyshire Police force, retiring after 28 years with the rank of inspector. 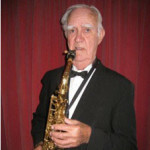 Since leaving the force he has played Alto Saxophone with The Nottingham Police Band and has been the principal Saxophone of The Burton Concert Band for over 20 years.